The dapper P Johnson Showroom in Paddington . 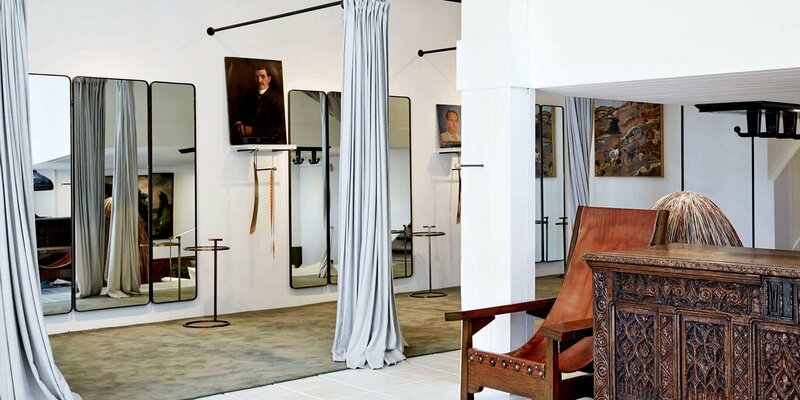 The dapper P Johnson Showroom in Paddington. Patrick Johnson’s eye for a sharp silhouette and signature lightweight suit helped put dapper back into the Oz fashion vernacular. 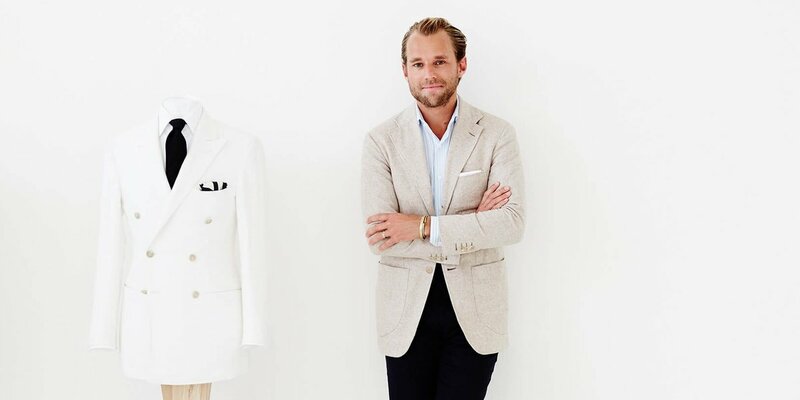 Since opening the eponymous P. Johnson Tailors in 2008, Patrick's dandy designs have gone global with spiffy showrooms in London and NYC, but the beach-loving Aussie still calls Sydney home. We chat to the designer dad about his aesthetic and life in the Emerald City. How did your career in tailoring come about? I have always been interested in clothing but it was my time in London after school (7 years) when I decided to focus on tailoring as a career. I was drawn to the craft for its pragmatism and beauty. It's fairly relaxed, formed around comfortable tailoring. I really don't think about it too much and try to just enjoy it. It has to be natural otherwise it's no fun. 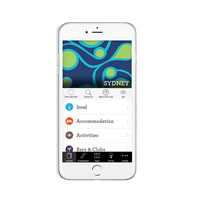 Has Sydney and Oz culture influenced this approach? Absolutely. We live on the coast, in fresh spaces full of natural light. 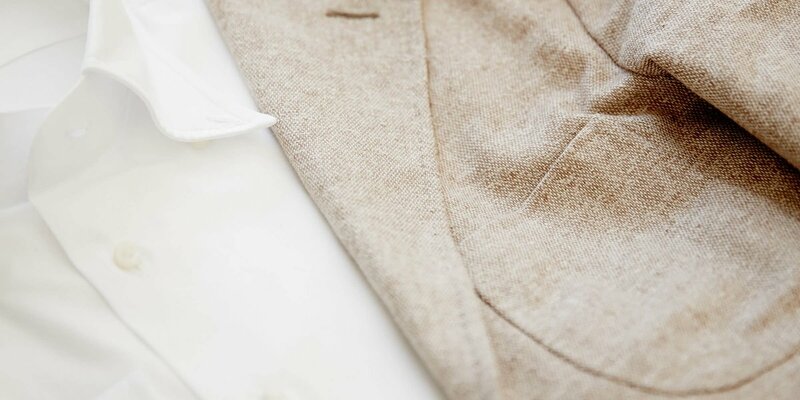 The landscapes and environments of Sydney are present in the fresh, neutral tones of our tailoring. I think Sydney’s culture has a positivity and lightness of heart that is highly influenced by our great weather, and the beach. Who's the typical P. Johnson gent? We have a highly varied client base. The main thing is that they are looking for a different approach to what is currently out there. They don't want stuffy or pompous, they want value and quality. They want to improve their wardrobes and that's why they come to us. 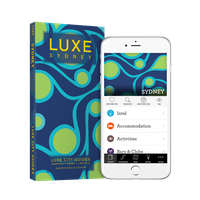 You have showrooms in Melbourne, London and New York, what's kept you based in Sydney? Mainly the beach and lifestyle. I love the water. It also challenges me to keep my thoughts fresh; when you are quite isolated at the bottom of the world, you have to be innovative. Living in Sydney allows me to view the rest of the world with a clearer perspective, we can recognise what is good and what is great from the rest of the world. Ellery, Christopher Esber, Lucy Folk, Jon Bannenberg (he changed yacht design and is a true icon). Where do you typically spend family time? At home in Sydney and in the country in South Australia. Down at the beach in Bondi where we live. Where are your favourite places to drink n' dine? Fratelli Paradiso in Potts Point and Hubert in the city. Where do you go to escape the city? Cape Jervis in South Australia and the Hinterland near Byron Bay.